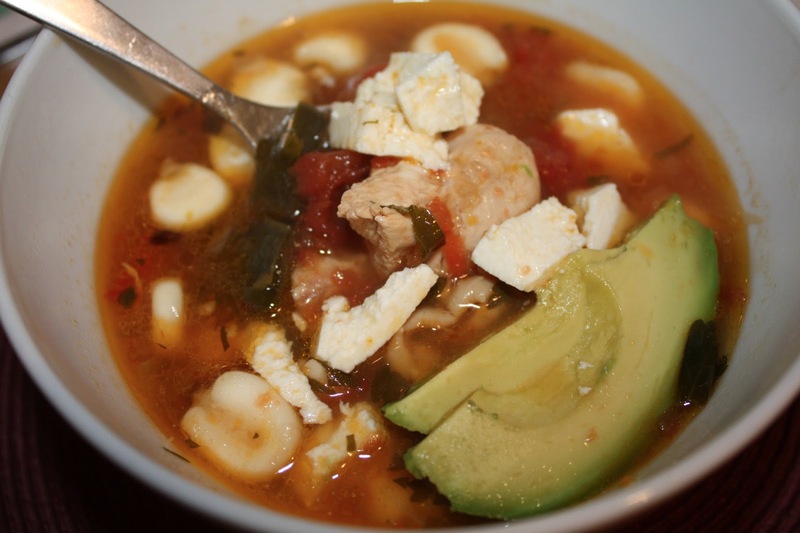 Peruvian chicken soup: healthy, quick, and made from leftover tacos. Most nights, I cook dinner at home. For a full-time career woman living in New York City, that's rare. New Yorkers tend to dine out frequently, work late, and order a lot of take-out. I'm always astonished how often they eat out, whenever I ask my friends and co-workers. One time, I asked a friend if she cooked at home much, and she said no, not really. "But why? You're a really good cook!" "I don't always have time." "Who needs time? You just throw something together!" "Maybe for you," she said, "but I need to use recipes still." What? Who uses recipes to cook on an average day? Certainly not me. The secret to cooking at home most nights is to keep it really simple. It helps to have a good market nearby where you can pick up a piece of fish or a fresh baguette on the way home, but it's entirely possible to do a load of grocery shopping on Saturday or Sunday and have food for the week. Stock up on foods that you love that go into multiple meals, and the rest really does come naturally over time with practice. For example, we always have tortillas in the house, and very often avocados. 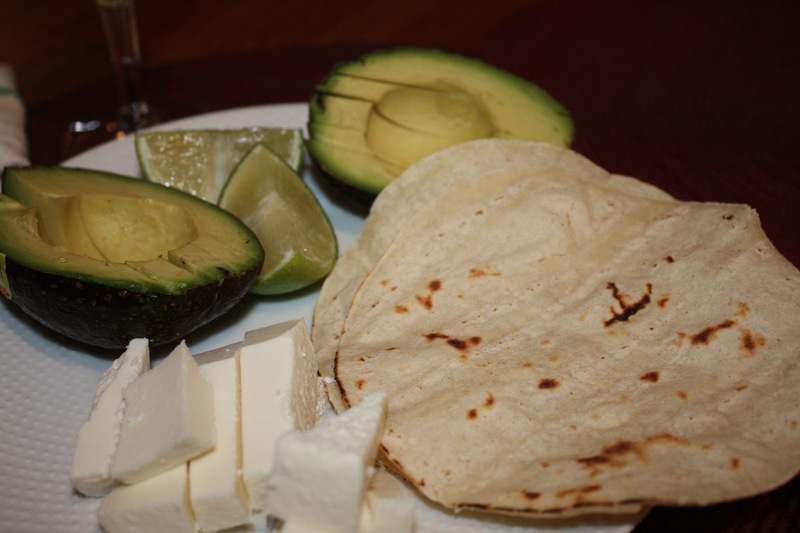 As a result, there are three or four staple meals we eat that use avocados or tortillas. Simple as that. turn into a healthy and quick second-day meal as soup. Chorizo meatballs go into the leftover soup -- done. We might add fruit, or cheese and crackers, or a salad to a dinner like this one. Romaine topped with grated Romano cheese, anchovies, and croutons made with two-day old leftover baguette; lemon juice and olive oil on top. Again, we might supplement this with fruit or maybe a side of olives. Grilled cheese and probably a side salad, knowing me. Other easy staples in the summer time include things like smoked salmon tartines (you take some smoked salmon from the fridge, you toast a piece of bread to make an open-faced sandwich, and you layer on anything else that you have on hand that you like: tomatoes, cucumber, avocado, jalapeños, red onion, etc.). We eat tacos in some form at least once a week. Usually we use fish or shrimp. Shrimp are great to have on hand because you can buy a two-pound bag of frozen shrimp, and a handful of them can thaw out in about ten minutes in cold water. We used to keep chicken or pork sausages on hand because they made for another quick and simple dinner, but we've cut back because 1) they're not really that healthy and 2) we can't find good quality sausages that we like in our current neighborhood.